The Ministry of Health has greatly improved its health system compared to previous years. 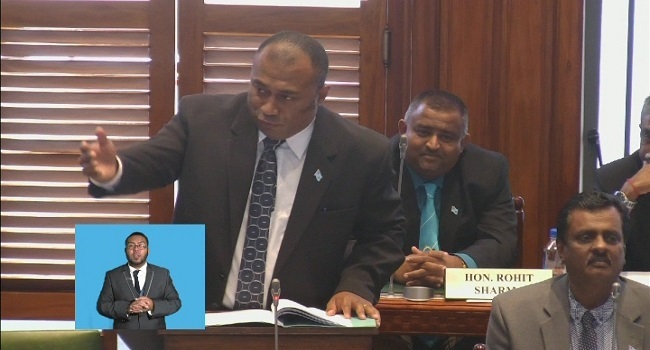 Minister responsible, Dr Ifereimi Waqainabete says this has been portrayed in the substantial investments done in the construction and the upgrading of health centres and nursing stations to provide better services to Fijians around the country. Dr Waqainabete says Fiji has made significant progress in improving health outcomes for our people. Dr Waqainabete says maternal and infant mortality rates have declined whereas primary health care is well established with major improvements in the secondary health care. He adds the service provided by the health sector has been de-centralized for Fijian’s convenience together with outreach programmes by health officials. The Minister adds that the Doctor to patient ratio has greatly improved as well. He adds this was only possible through the FijiFirst government. Meanwhile, the Health ministry received $334.9m from the budget allocation for this fiscal year, which is an increase of $13.9m from the last financial year.